International Lawyers Associates is a law firm specializing in criminal and international law, founded on the partnership of a high level Italian and foreign professionals team that specialize in criminal and international law, coordinated by attorney Alexandro Maria Tirelli, President of the Firm. After a brief career as a company executive in the export sector, head of the legal area in the relations with Venezuela and Brazil, Alexandro Maria Tirelli decided to enter the legal profession, enrolling into the practice and qualifying in the profession after having taken and passed the State exam. Today he is registered in the Bar Association of Torre Annunziata (n.3240), of the District Court of Appeal of Naples, and practices criminal law after having completed a two year internship in the law firm of the President of the Criminal Chamber of the court of jurisdication, the distinguished attorney Antonio Cesarano, today OUA executive. 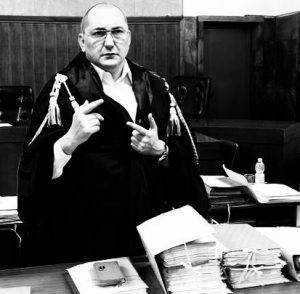 Tirelli has gained significant experience in criminal law, founding three major firms in Naples, Rome and Milan, gaining his first experiences participating in major maxi-trials against the Camorra and the Mafia. He started his own firm, together with other professionals, with offices in Naples, Rome, Milan, specializing in crimes involving narcotics, money laundering, murder, fraudulent bankruptcy and medical negligence. Thanks to his fluency in Spanish, Portuguese and English, Tirelli has initiated long-term collaborations with prominent international law firms in the United States, Europe and South America, dealing with issues of international criminal law (European arrest warrants, extradition and transfer of prisoners to the Italian judicial authorities). Madrid, Barcelona, Malaga, Budapest, Bratislava, Brussels, Paris, Lille, Montpellier, Perpignan, Lyon, Berlin, Dublin, Amsterdam, Lisbon, London, Prague, Bucharest, Moscow, Rio de Janeiro, Caracas, Bogotà, Cali, Medellin, DF Mexico City, Tokyo, New York, Miami, Orlando, Tampa, Chicago, Philadelphia, Sao Paolo, Panama City, Buenos Aires, Dubai, UAE. The law firm has taken and continues to take the defense of individuals, also very known ones, accused of mafia, politics and common crimes: in particular attorney Tirelli has hit the national and international headlines, having been involved in important trials and cases involving narcotic drugs, money laundering, violent crimes and economic criminal law including extradition and European arrest warrants. Another particular feature of International Lawyers Associates is its international legal assistance, that is outside of Italian borders. The Team assists its clients even when they are pursued abroad by Foreign Jurisdiction. The firm has legal offices abroad and has initiated ongoing partnerships with leading international law firms in Europe, the United States, Australia and South America. Contact us by sending an e-mail to alessandrotirelli@yahoo.it. Our team will get back to you as soon as possible.